District Sargodha has 6 tehsils; Sargodha, Bhalwal, Shahpur, Kot Momin, Sahiwal and Sillanwali. Punjabi and Urdu are spoken languages of Sargodhians. Sargodha is situated 172 km away from Lahore, 60 km away from Faisalabad and 40 km away from M2 Motorway. Rice, Sugar Cane and Wheat are main crops while Citrus, Mangoes and Guava are the fruits produced in Sargodha. Sargodha is linked with Lahore, Islamabad and Faisalabad via M2 Motorway and linked to Gujrat, Mandi Baha ud Din, Mianwali and Jhang via Highways. Sargodha is linked via railway track to Khushab, Mianwali, Marri Indus, Rawalpindi, Lahore and Lalamusa (Gujrat). NOTE: Do you want to see your city, town or village on this website, write about it and send it to us on web_naza@live.com or you may send us only photos (may be taken by mobile phone) of your town with only the name of the place. 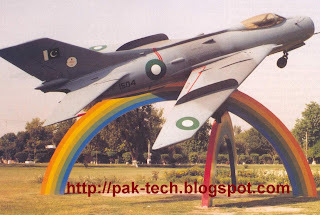 And we will publish all these on this website http://pakistanicitiesinfo.blogspot.com/ totally free. Born in a small village of sargodha in 1943 very much emotionally attached to birth place would love to meet people there. Can someone get details for Vij community? Place photographs, houses..